This week the awesome Image series Rumble returns to comic stands, and Leondardo Da Vinci creates a wooden robot in Monstro Mechanica! After a pretty lengthy hiatus, Rumble is back. And while I’d like to say that the John Arcudi and James Harren series returns with a vengeance, that’s not exactly the case. For starters, Harren has been replaced by David Rubin, and Rumble #1 serves as more of a catch up than new starting point. But at the same time, it’s good to have Rathraq back on the comic shelves. With Rathraq seemingly deceased, his friends have become increasingly depressed and outnumbered by Esu, the monsters that Rathraq has spent his long existence fighting. But when one of his friends comes across an Esu’s shrine to Rathraq, the seeds of belief in the monster hunter’s resurrection start to be sown. Could Rathraq be making his grand return? 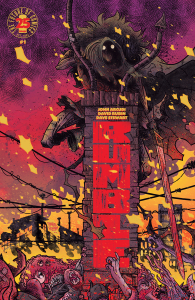 Anytime an indie title takes a lengthy hiatus it’s a gamble, but luckily John Arcudi is able to jump right back into the saddle with Rumble (after spending too much time recapping events from the previous series, that is). While Arcudi spends a little too much of his script catching new readers up to Rathraq’s adventures, I’ll admit that it was a nice refresher for someone like me who reads way too many comic books. It’s also interesting seeing Arcudi build up the world of Rumble since the character’s disappearance. It really makes Rathraq’s absence felt throughout the book. While I do miss James Harren’s artwork, David Rubin is a more than able replacement. Able to mimic Harren’s style without completely ripping it off, Rubin delivers the same style you expect from Rumble, but also has plenty of unique and engaging panel layouts that make this initial issue stand out from the previous issues of Rumble. While I may be a little dismayed over Rumble’s relaunch spending so much time catching people up, I’ll admit that it’s necessary to attract new readers. 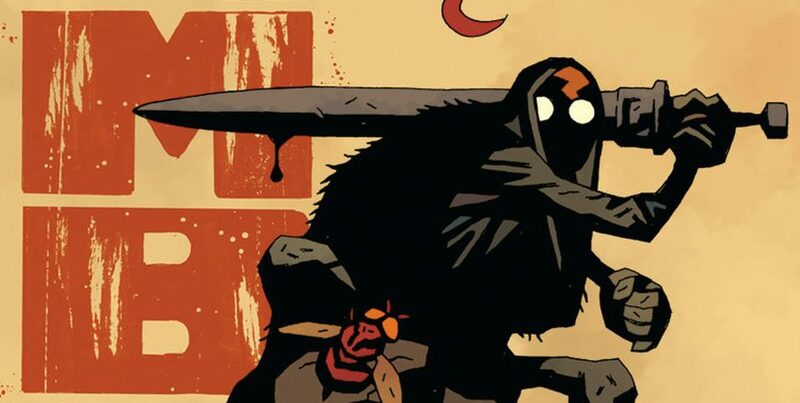 As one of Image’s strongest titles, Rumble deserves a much bigger audience than it has, so I’m hopeful that people will latch onto the adventures of Rathraq now that they’ve got an easy jumping on point. Aftershock Comics has been making some pretty big waves lately, and all signs point to Monstro Mechanica being the next big book from the publisher. Focusing on a wooden automaton created by Leonardo Da Vinci, the Paul Allor written and Chris Evenhuis drawn series has plenty of nods to Iron Man, Assassin’s Creed, and Da Vinci’s Demons to keep people intrigued. If you couldn’t tell from that opening paragraph, Monstro Mechanica details Leonardo Da Vinci creating a wooden robot to fight….crime? It’s not entirely spelled out, but Da Vinci has made a robot, but doesn’t want to keep using it for fear that it’ll gain sentience. 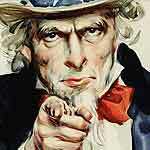 He even dissuades his assistant, Isabel, from referring to the robot as “him”. But Isabel definitely has other plans, as she has fears that Da Vinci isn’t as noble as he seems. The premise behind Monstro Mechanica is pretty awesome, but unfortunately this opening issue doesn’t exactly live up to it. Paul Allor’s script is full of really cool ideas, but he spends a lot of time on Leonardo Da Vinci and his exploits in high society instead of the wooden robot that he’s built, and the assistant that has plans to use it against him. While this is fine for the opening issue of the series, I really hope that Allor focuses on the assistant and the robot in future issues, as that’s really the main draw here. Another draw for the series is Chris Evenhuis’ art, which is pretty damn impressive. I’ve never seen his work before, but Evenhuis has a crisp and clean style that suits the book perfectly. While you might think his style would hinder the action sequences of the book, it actually works really well without sacrificing the details that other artists would give up. While Monstro Mechanica isn’t as strong of a debut as Babyteeth or Animosity, it’s still another worthy addition to the growing line of strong Aftershock books. If the company is able to keep this kind of output up, they’ll quickly become one of the new heavy hitters in the comics field. 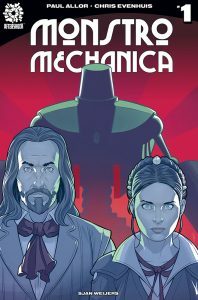 As it stands right now, Monstro Mechanica has the potential to be a great series for fans of alternate history, or robots in general, provided that it actually focuses on the robot in question. 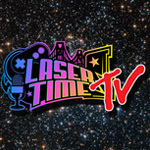 Comic Reviews: The Walking Dead and D4ve! Comic Reviews: Uncanny Inhumans and Convergence!